Welcome to the ISI's symposia. The Interdisciplinary Studies Institute hosted a symposium titled “The Task of Witnessing: A Symposium in Honor of James W. Foley” in collaboration with the Journalism Department and the MFA Program for Poets and Writers, University of Massachusetts from September 19-20, 2016. James W. Foley was a student at the University of Massachusetts from 1999 to 2003, in the MFA Program for Poets and Writers in the English Department. Both while he was on our campus, and afterwards when he worked for Teach for America in Arizona and Chicago, he was dedicated to working in and with marginalized communities, helping students to widen their educational range and find their own voices. At UMass he volunteered at a local care center for unwed mothers, helping them earn their GEDs; both as teacher and journalist he was active in mentoring others. He worked on development projects in Iraq, and became an embedded journalist with the Indiana National Guard, and then with the US Army in Afghanistan and Iraq, before becoming a freelance journalist working on the front lines in both Libya (where he was abducted and released) and in Syria. There he was kidnapped and ultimately executed in the most horrific and public way by the so-called Islamic State in August 2014. This campus, along with many others, mourned his loss deeply. 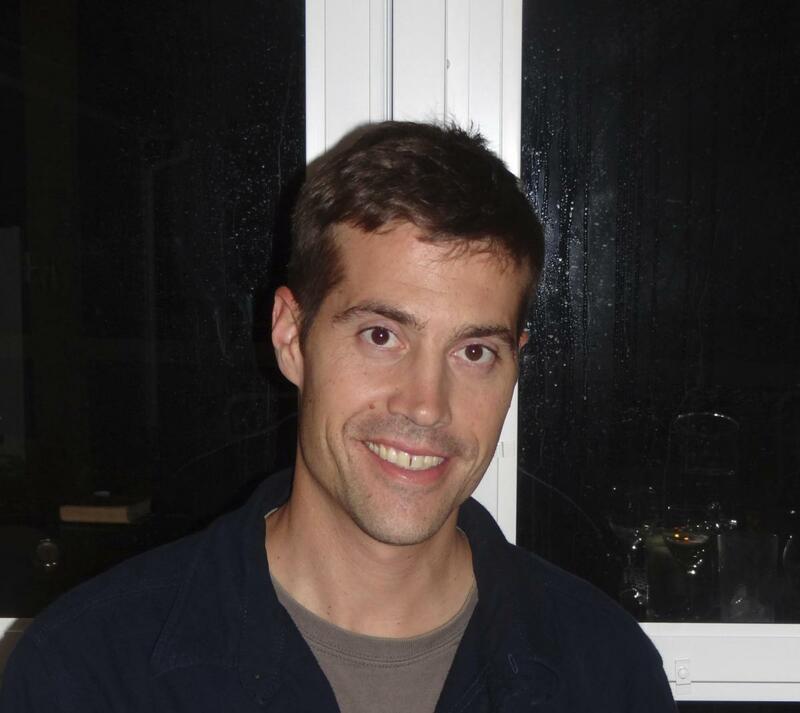 Our symposium was offered in memory of James Foley, to pay tribute to him by considering a range of issues that not only affected his life but have also impacted the lives of many around the world. Since 2001, if not before, we have been caught up in various forms of undeclared and undefined war. Both in the US and around the world we face a baffling array of developments which are hard to contain in any coherent form of understanding. We live in a context of shifting boundaries, large-scale movements of people, strange mixtures of enmity and belief, the unnerving event and its instant reproduction. What, in these circumstances, are the complex tasks of witnessing, of giving voice, of attempting to tell the truth? How do we see, how do we write, how do we report? How and where do we operate in the borderlands—both lived and conceptual—of encounter? What are the obligations of witnessing—and what are the dangers? How do we give voice to the otherwise unreported, to the unknown, to those whose voices would otherwise go unheard? How do we, as readers and viewers, witness atrocity? What, in short, are the tasks and perils of witnessing in our current world? Funding for The Task of Witnessing comes from the Chancellor, University of Massachusetts, Amherst; the Provost, University of Massachusetts, Amherst; College of Humanities and Fine Arts; College of Social and Behavioral Sciences; Interdisciplinary Studies Institute; Department of Journalism; Department of English; Department of History; Department of Communication; Commonwealth Honors College; Nexus, Mt Holyoke College; the Creative Writing Center, Amherst College; Department of Law, Jurisprudence and Social Thought, Amherst College; and the Five College Lecture Fund. For a radio interview on WAMC with ISI Director, Stephen Clingman, about 'The Task of Witnessing' symposium, click here. Monday, 19 Sept. Integrative Learning Center S240. 7-9 pm Movie, Jim: The James Foley Story. Tuesday, 20 Sept. Bernie Dallas Room. Goodell Hall. Ben Brody is a photographer and writer who has covered the wars in Iraq and Afghanistan both as a soldier and as a civilian. He has a degree in journalism from the University of Massachusetts Amherst and is working toward an MFA in photography at Hartford Art School. To see more of his work visit www.foreverstan.com and www.photobrody.com. Martín Espada has published almost twenty books as a poet, editor, essayist and translator. His new collection of poems from Norton is called Vivas to Those Who Have Failed (2016). Other books of poems include The Trouble Ball (2011), The Republic of Poetry (2006) and Alabanza (2003). His honors include the Shelley Memorial Award, the PEN/Revson Fellowship and a Guggenheim Fellowship. The Republic of Poetry was a finalist for the Pulitzer Prize. His book of essays, Zapata’s Disciple (1998), was banned in Tucson as part of the Mexican-American Studies Program outlawed by the state of Arizona. Espada is Professor of English at the University of Massachusetts-Amherst, and served on James Foley’s MFA Thesis Committee. Diana Matar’s in-depth bodies of work investigate issues of history, memory and state-sponsored violence. She has been the recipient of the Deutsche Bank Award for Fine Art, the International Fund for Documentary Photography, an Arts Council of England Individual Artist Grant, and she was nominated for the Prix Pictet. Matar’s monograph Evidence was published in 2014 to critical acclaim and chosen by New York Times photography critic Teju Cole as best book of the year. Her work is held in public and private collections internationally and has been exhibited in numerous institutions including the Tate Modern, London and the The Institut du Monde Arabe, Paris. She lives in London and New York. Maaza Mengiste is a novelist and essayist. Her debut novel, Beneath the Lion’s Gaze, was selected by the Guardian as one of the ten best contemporary African books and named one of the best books of 2010 by the Christian Science Monitor, Boston Globe and other publications. Her fiction and nonfiction can be found in The New Yorker, Granta, the Guardian, the New York Times, and BBC Radio, among other places. She is a Fulbright Scholar and was awarded Runner-up in the 2011 Dayton Literary Peace Prize. Maaza writes fiction and nonfiction dealing with conflict, migration, and the relationship between photography and violence. She was a writer on the documentary projects, GIRL RISING and THE INVISIBLE CITY, and sits on the boards of Words Without Borders and Warscapes. Her second novel is forthcoming. Sabina Murray is the author of three novels and two story collections—the recent Tales of the New World, and The Caprices, which won the 2002 PEN/Faulkner Award. She has been awarded fellowships from the National Endowment for the Arts, the Guggenheim Foundation, and the Radcliffe Institute. She wrote the screenplay for the film Beautiful Country that was nominated for an Independent Spirit Award and the Amanda Award (Norway). She teaches in the MFA Program at the University of Massachusetts at Amherst. A novel, Valiant Gentlemen, is forthcoming this November. Charles M. Sennott is the Founder and Executive Director of The GroundTruth Project and the Co-founder of GlobalPost. He is an award-winning foreign correspondent, best-selling author and a seasoned editor with thirty years of experience in journalism. Sennott served as the Boston Globe’s Middle East Bureau Chief based in Jerusalem from 1997 to 2001, and as Europe Bureau Chief based in London from 2001 to 2005. Sennott’s deep experience reporting internationally led him to launch The GroundTruth Project and to dedicate himself to training the next generation of international journalists. He is an alumnus of the University of Massachusetts.